Executive summary. To solve a problem, to tap an opportunity, one must discover the root causes and address those core issues. There are numerous untold stories in the manufactured housing industry. The common stories read and seen in mainstream news tend to leave the uninformed with the impression that manufactured home owners got a raw deal and are routinely troubled by bad actors in this industry. Bad actors and raw deals exist, but they are the exception to the rule. The routinely untold story is that millions of manufactured home owners love their homes. The majority of people love their community, if the live in a land lease. Manufactured homes can exist wide by side with conventional housing, and with the proper installation, strangers don’t even realize it. We’ve interviewed owners of true mobile homes, that may be able to buy nothing more, and they love their home. 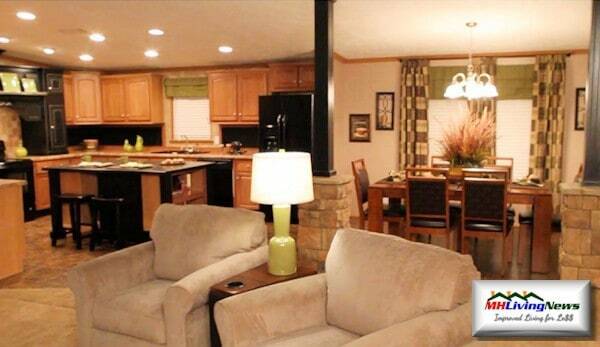 We’ve interviewed millionaires who love their manufactured homes. Then there are all those in between. We’ve also interviewed pros from small companies to the corporate giants. The majority of all of these are just good, honorable people. There is no doubt that there are so-called ‘bad actors’ among the ranks of those working in manufactured housing. But they exist in other professions too. They are the exception that demonstrates that most others in MHVille are honorable people, striving to make an honest living. Thousands of the industry’s professionals were beat down badly following the slide from the industry’s most recent high in 1998. That meant there was a need in 2009 to bring a positive energy back into manufactured housing. Thomas, for those who know him, is a can do type. He looks for solutions. He’s an optimist. He has joy in his heart, and a love for this industry. 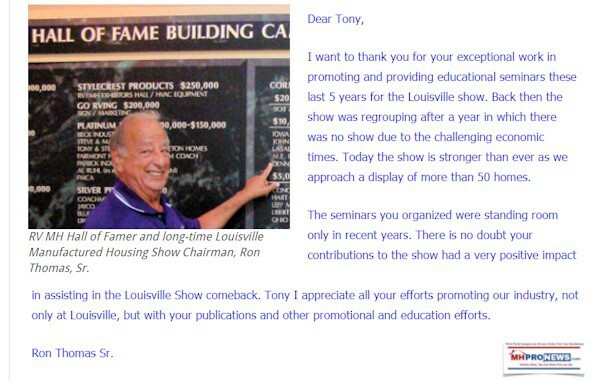 Optimism and “can do” were necessary in the days when the industry canceled the Louisville Manufactured Housing Show in 2010 – the first time that occurred in its 5 decade run. What some today forget, is that in 2010, the show had been sliding backward for years. It was thought the show was dead, never to return. We proudly played a part in the shows recovery and did so for many years. The kind messages of thanks from industry pros involved with the show are a reminder of what is real. We too are manufactured home optimists. We too are believers in this MH Industry. It must also accept that most homeowners are happy about their home. 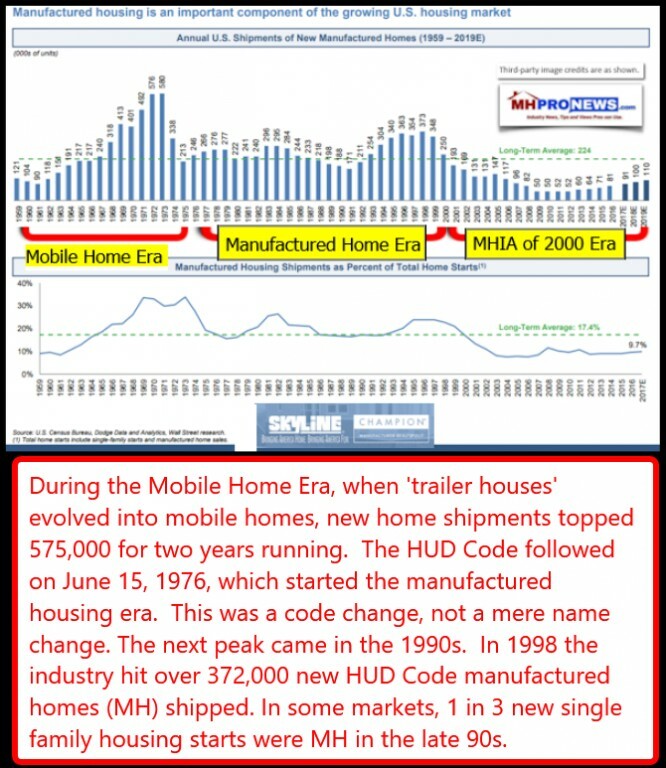 On ManufacturedHomeLivingNews.com, for years the effort has been to spotlight the good news about manufactured homes. It was the industry’s first and still primary vehicle of its type for a reality based story. There has always been promotion of individual businesses and communities. There has been some periodic efforts at image building in places, such as the Northwest Pride campaign, or events in California. There are several state associations, retailers, or groups today that take homes to home shows, for crowds of everyday people to experience. All of those are necessary and good. But the statistics tell an MH realist that it isn’t enough. The following are a slam, they are reality checks. Clayton produces slick videos. Some have hundreds of thousands of views. Millions of views total, millions of contacts with possible consumers. Yet last year, Clayton only did a total of some 48,000 homes sold. The same is true at MHVillage, which has Dan, Darren, Dawn and company – very pleasant and intelligent people, all. At Tunica, Darren Krolewski said publicly and privately the following. They had some 25,000,000 unique visitors last year. About $3 Billion in total home sales, of about 80,000 new and used homes. Or is it? Doesn’t it hide facts that should trouble the industry? 80,000 sales means the average home sold was $37,500. That’s typically a use home, relatively small numbers of new homes are being sold there. Divide 25,000,000 by 80,000 = 0.0032. That means, less than 1/3 of 1 percent of visitors are pulling the trigger. 1/3 of 1 percent of MHVillage visitors are buying. The average sales price is $37,500, using Darren’s talking points. 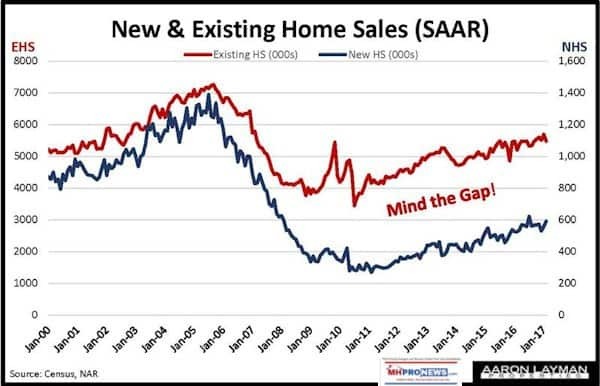 That means few new home sales, and low conversion rates. Don’t get me wrong, good for MHVillage. But objectively seen, it’s yet another warning sign for the industry. At the heart of this, our research shows the issue is educational…it’s the inaccurate perceptions. It’s image. If you went into the CNBC Shark Tank with the industry’s statistical breakdown of low – 1/3 of 1 percent conversions of leads – those investor sharks would laugh the presenters out of the room. There is clearly missing pieces to the industry’s recovery. • As an optimist who doesn’t quit, I don’t walk into the rain without an umbrella. • You don’t listen to a doctor tell you that the tests reveal that you have cancer, and then hope it will go away. The wise optimist is reality based, goal and solution oriented. The above was part of a longer message from a successful and well known retailer. The industry veteran went on to say how glad he is that we are trying to do something about the image of the industry. Without credibility, there is no story telling-worth it’s salt. Even though mainstream media is often doubted and disliked, there are some reports that ring true for Americans. Frank Rolfe admits to violating his own premise that the nomenclature about manufactured homes needs to change. That said, Rolfe’s correct in saying that most Americans have no clue about manufactured homes today. Their image is based upon 8 Mile, or the Trailer Park Boys, or the local news reports. That’s reality. Savvy, goal and solution oriented pros must deal with it. The solution is both simple and nuanced. • The truth must be presented. • The falsehoods must be refuted. • Where they exist, real problems must be addressed. That isn’t done with one video, or one story. It’s not done by pretty pictures or even slick 3D productions. Don’t get me wrong! Those can help. Existing home sales have pushed beyond 5.5 million units a year. New conventional, site built sales are moving toward 600,000 single family homes. That’s not counting multi-family housing construction. 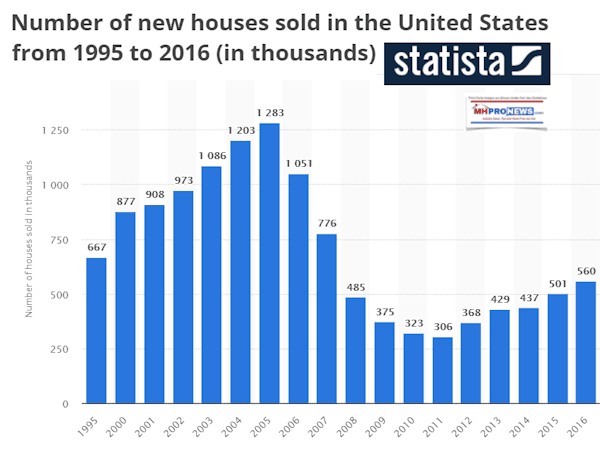 But so long as most people believe that manufactured homes are made out of cheap materials – or are as a regional news source said recently “wobbly boxes” – people will suspect that its lipstick on a pig. That’s not negative. It’s reality. When the Louisville Show turned to us for help with marketing their event, we delivered. Others who have worked with us, know that we deliver. There are voices in the industry who years ago worked to undermine what we are trying to do. You have to ask, why? That was long before we began to spotlight internal industry issues. So you can’t say they retaliated for something. It was long after that began that those fact checks of internal industry claims began. By the way, those fact check stories have helped spur certain organizations to act better; not well, but better. We’re proud of our part in that effort to advance the industry. 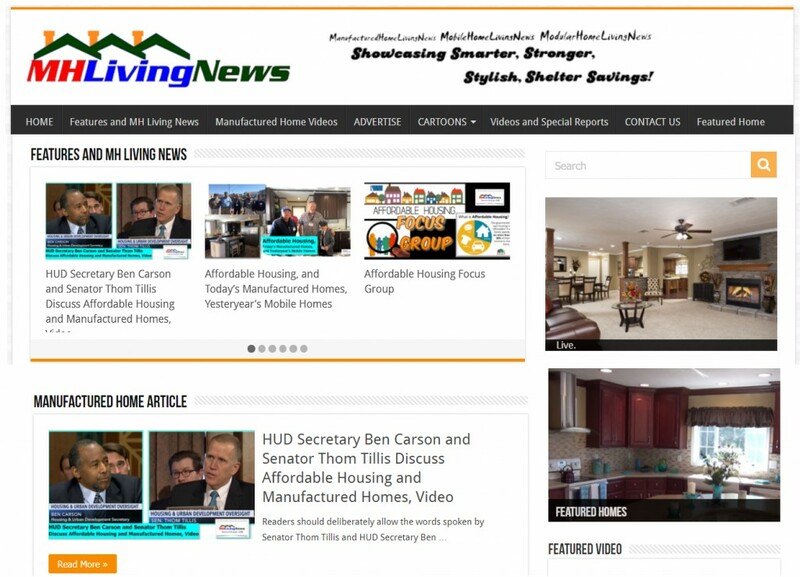 But the entire time, we’ve kept up the good news of manufactured housing reports on MHLivingNews.com. 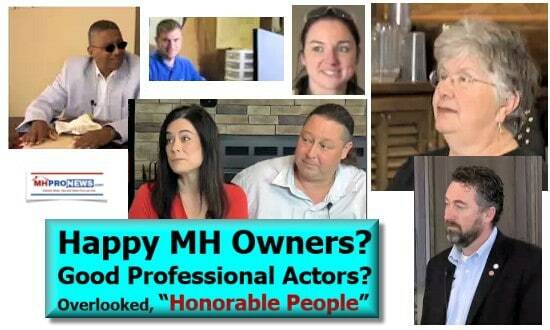 MHProNews provides the facts industry pros must have to navigate reality, not fantasy land. There is nothing else in MHVille like this dynamic duo. That’s true in part because third party media interviews real people, and we as trade media let those people speak in an interview setting. We’ve done the field tests. That works at the local level. And the local level is what matters for the majority of industry professionals. There is more to what we do than just interviews. But the point is this. Those who undermine what we’ve done for years, are arguably undermining the industry’s more robust recovery. The ones who praised us, did they stop and turn because we threatened some unstated plan to slow walk growth and recovery for independent businesses? Attacking us, is an indirect attack on the interests of the majority of independents in MHVille. But the heart of the Masthead message today is this. Without going to the root causes of what keeps qualified buyers from purchasing a manufactured home, there will only be slow growth and more of the same. 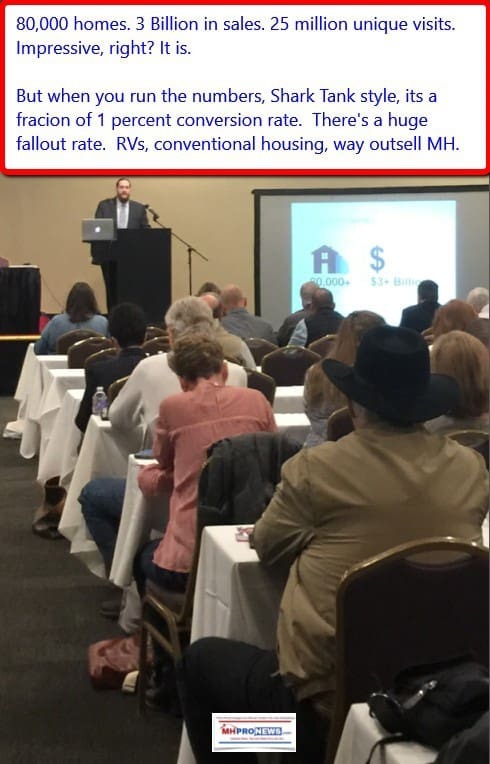 When 8.3 million affordable housing units are needed in the U.S., there is no good reason for manufactured homes not to be selling far better. Modular sellers? Wake up. HUD code homes are still outselling MODs. Both have their place. But so long as mod sellers sell against HUDs, that’s counterproductive too. Most of the public doesn’t get it. HUDs and MODs should work together. By the way, I do think that the modular industry is arguably doing a better job than the HUD Code industry at education. But pros must understand, to the typical prospect, they are all coming out of a factory. We have a great story, millions of them, actually. The factory built home industry has to grasp that rah rah was needed in 2009-2010, even in 2011. But as the industry recovered its footing and self-confidence, the next phase became necessary. One must do reality checks, and act based upon optimistic-realism. One needs a “can do” professional system that works.